Convinced to subscribe and become a member? Yeah! Becoming a member is quite easy. Please navigate to our membership-page and purchase membership for 19,95 EUR + a fee for shipping. After we have have received your order and payment, you will receive log-in details to your personal account. Welcome, you are now a member of Final 500 Records! After we have received your order, we will automatically ship our most recent release right to your doorstep. Membership of Final 500 Records will cost 19,95 EUR + a fee for shipping. After signing up, you will immediately receive our most recent release to date right to your doorstep. As a member, you will also automatically receive our future release (with a maximum of 4 per year). A few weeks before each release, we will withdraw the membership-fee (19,95 + shipping) from your bank account / paypal account or creditcard. There is absolutely nothing you need to do, just sit back and wait for the record to arrive. Hence, you do NOT pay for an entire year up-front. You just pay per release and only when we have a confirmed shipping date for our members. Rather not, but sure you can! You can cancel your subscription at any time. 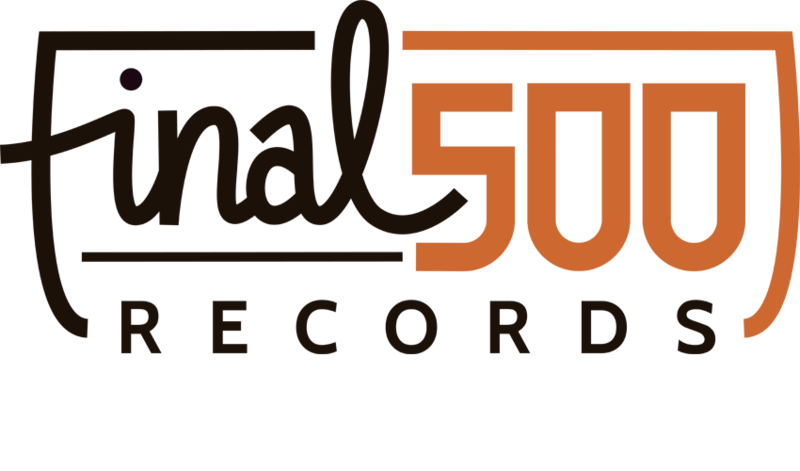 Simply just send us an e-mail at info @ final500records .nl. We will immediately notify you after having received your request for cancellation. However, we do keep a notice period of 1 release. Meaning: in case you have just received our fourth release and you cancel your subscription afterwards, you will still receive and pay for release 5. After that, your subscription has been cancelled. I am moving / have moved, can I receive the records at my new address? Absolutely! You can adjust your shipping details all by yourself by logging into your account. Otherwise, just drop us a line with your new information and we will make sure to adjust them in our records. Why only 4 releases per year? I want more! So do we. However, producing vinyl is starting to take more and more time. Which is good on the one side (vinyl is booming) but needs us to calm down on our release schedule. For now, we have decided to focus on a maximum of four quality releases per year. What are the extra benefits for members? Well, for now the benefit you get as a member is a solid discount on all our (past and future) releases. In the future, we will also explore other benefits. What about exclusive access to pre-sales tickets, other records or high-end audio equipment?